Along with the announcements of Overwatch's pricing and release plans came the introduction of the final three characters -- Mei, Genji and D. Va -- bringing the game's total roster to 21. Being the Overwatch nut that I am, I made it a priority to get extensive hands on time with each of the new characters and fully dive into the roles that they play. Despite being very similar to Imp and Z-Mech from Garden Warfare 2, D. Va is one of the most unique characters in Overwatch and she provides counters to a few characters that previously were very difficult to deal with. 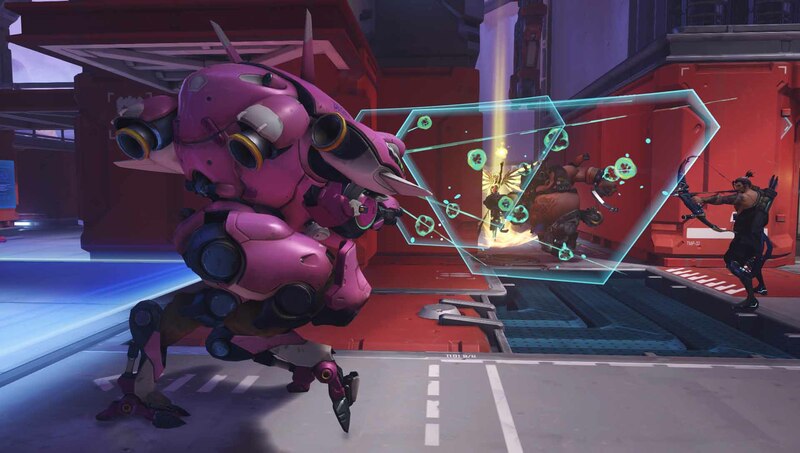 Every match begins with D. Va inside her mech, which essentially can be described as a mobile version of Bastion's turret. It's got two heavy-duty machine guns that never need to be reloaded and will tear enemies to shreds from close to mid range. Her E ability pulls up a shield that initially seems very similar to Reinhardt's, but there are a few key differences. First, the shield can't break, and will remain up regardless of the amount of punishment it receives until its timer runs out, or the player cancels it on their own, which means yes, it can even protect her team from Pharah or Reapers' ult. Second, it blocks everything that's considered a projectile, including Symmetra's charge shot, which is the main counter to Reinhardt's shield. And finally, while it can't be broken, it's on a pretty substantial cooldown so it can't be used quite as often as Reinhardt's can. D. Va's movement ability is where her true value lies. It's a high speed dash that lasts for about three seconds, and can go in any direction. This makes her by far the most mobile of the tank characters, and an absolute nightmare for a character like Widowmaker or Hanzo, who thrive on being able to get to vantage points where most characters can't reach. 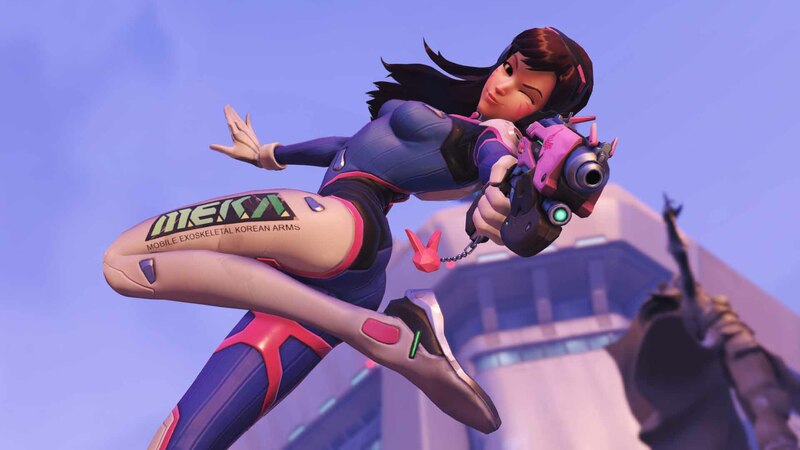 The most interesting thing about D. Va, though, is that she actually has two life bars. If she dies inside the mech, she will eject and can still be a threat on the battlefield with a surprisingly deadly auto pistol. She loses all of her abilities, though, so the goal when mechless is to try and build up meter as fast as you can to bring back her mech with her ultimate. If you manage to build up your ultimate while inside the mech, say good-bye to your enemy's defenses. With her ultimate, D. Va can use a self-destruct ability on her mech that can take out most enemies in a single blast and has an explosion radius the size of a nuclear bomb. The explosion is actually so huge that unless you use her charge ability to throw the self-destructing mech forward while you run the other way, it can be extremely difficult to escape the blast yourself. Overall, D. Va is a fantastic option for your team's tank and her mobility and overall stickiness on the battlefield makes her a great counterpick when you're dealing with a Widowmaker, or a team that has holed up at the objective with a Bastion or Torbjorn turret.